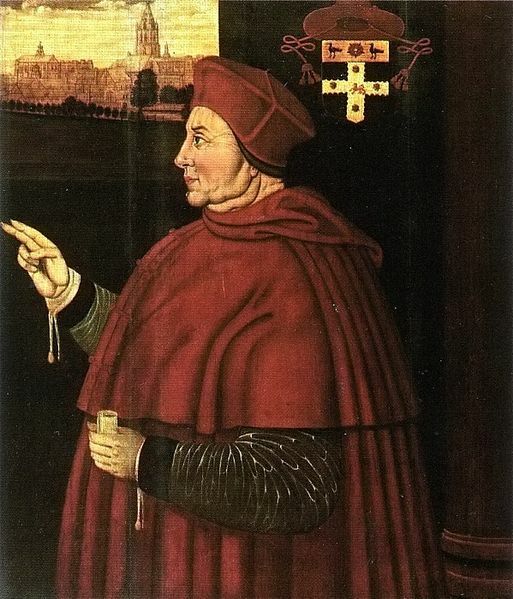 When Cardinal Wolsey lost the favour of Henry VIII he was despised by the great, and hated by the people. Fitz-Williams, a man whom the cardinal had highly favoured when in power, was the only one who attempted to defend the cause, and praise the talents and great qualifications of the disgraced minister. He did more; he offered Wolsey his country-house, and begged him to pass one day there at least. The cardinal, sensible of his zeal, went to Fitz-Williams’s house, who received his master with the most distinguished marks of respect and gratitude. The king being informed of the reception which this man only had not been afraid to give such a man as Wolsey, ordered Fitz-Williams to be brought before him, and asked him, with much emotion, and an angry tone of voice, from what motive he had the audacity to receive the cardinal at his house, who was accused and declared guilty of high treason? Surprised and full of admiration, the king at that moment conceived the highest esteem for the generous Fitz-Williams. He instantly knighted him, and shortly after named him a privy counsellor.